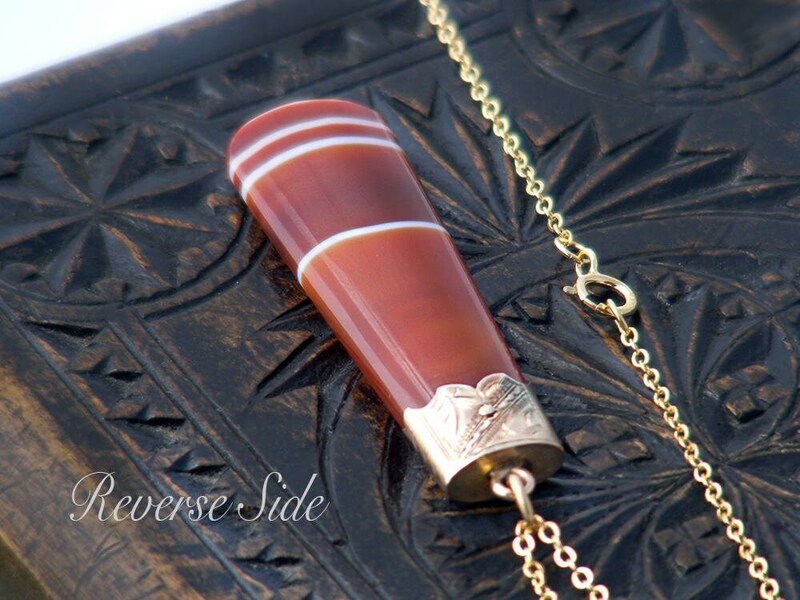 A richly colored Victorian fob pendant in glossy banded carnelian agate with 9 carat gold hand-chased cap - an intriguing pendant that was originally an ornament for a pocket watch chain. 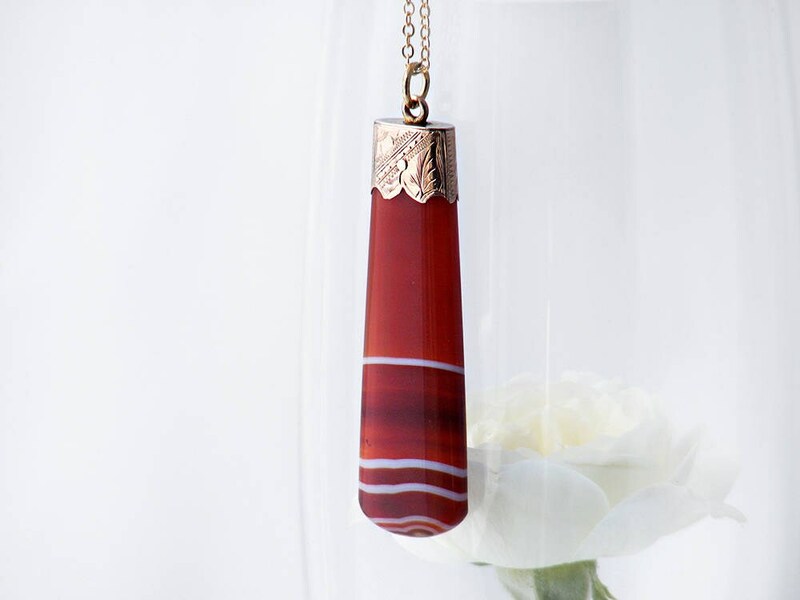 The stone glows with translucent brick and toffee stripes contrasting with opaque white stripes. 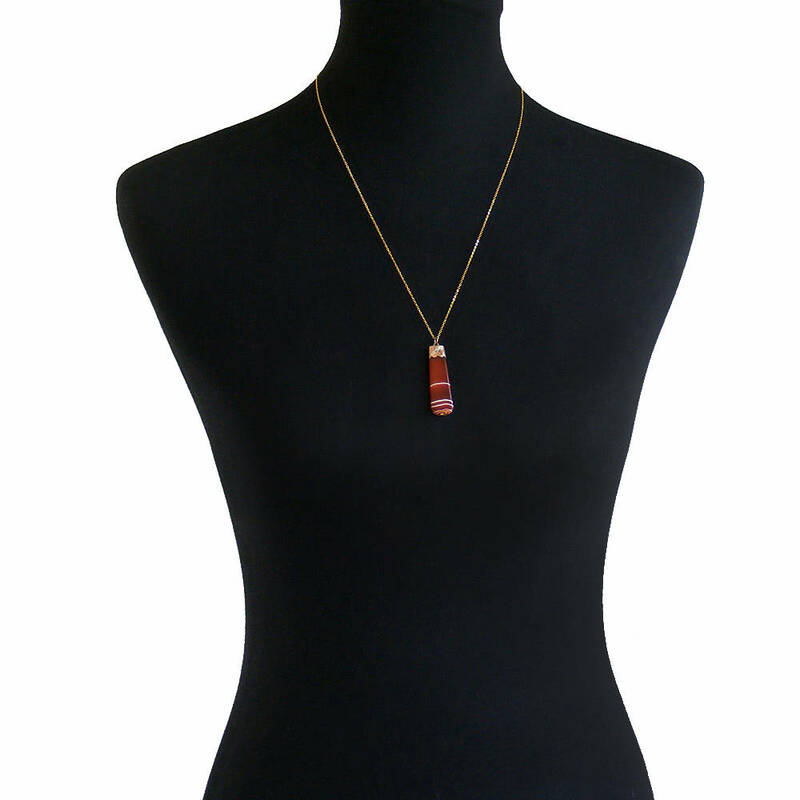 Banded carnelian gemstone. The unmarked, purpose made cap is testing as 9 carat gold and the bail loop has a lovely twist that allows the pendant to hang well. 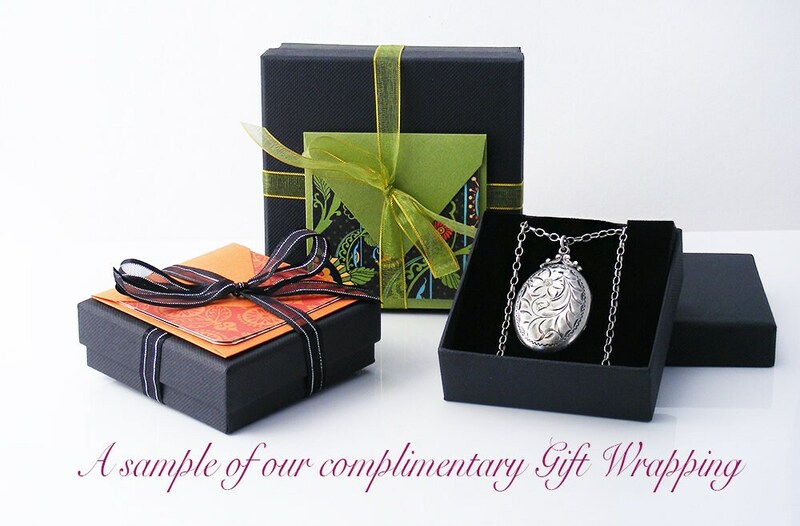 Size: 1.77 inches or 45mm long. 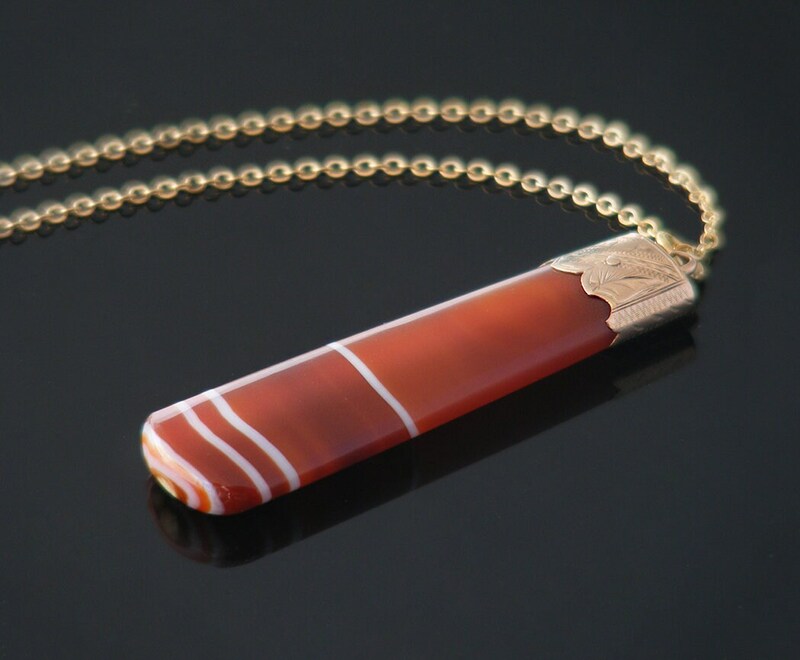 The agate tapers in width from 10mm wide at the cap to 14mm at the tip. Weight: 5.6grams without the chain. Presented on a new, good quality chain, 22 inch or 56cm chain long, 14ct gold filled and stamped as such. Shown on a life size torso in image #3. Excellent. No chips to the stone, in beautiful order. Note: there is a very slightly darker patch on one side of the cap, does not detract from its beauty. 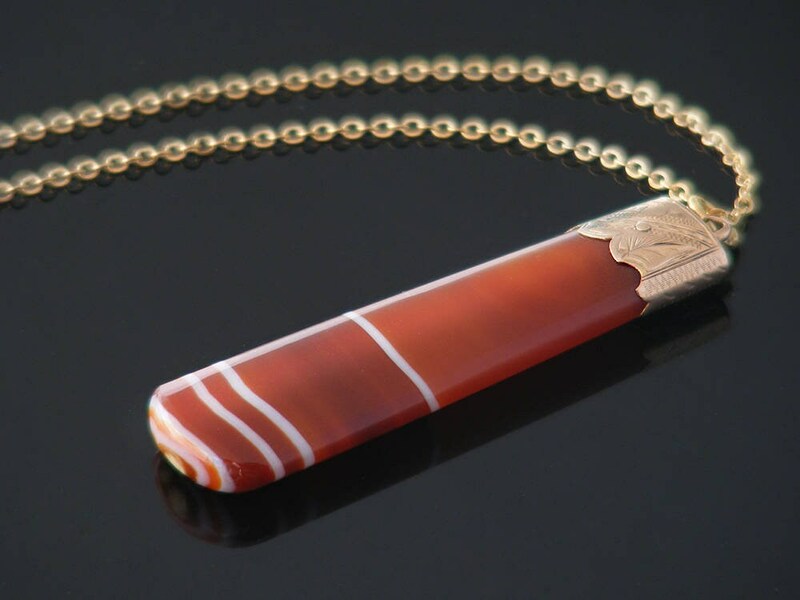 A lovely Victorian fob pendant displaying the rich, warm glow and delightful color of carnelian. A beauty.